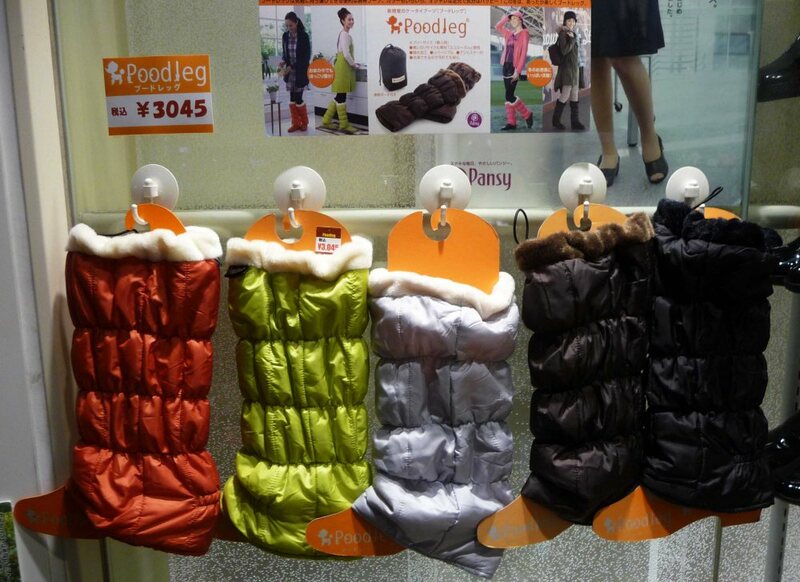 Tokyo is famous for its cold, dry air in the winter. 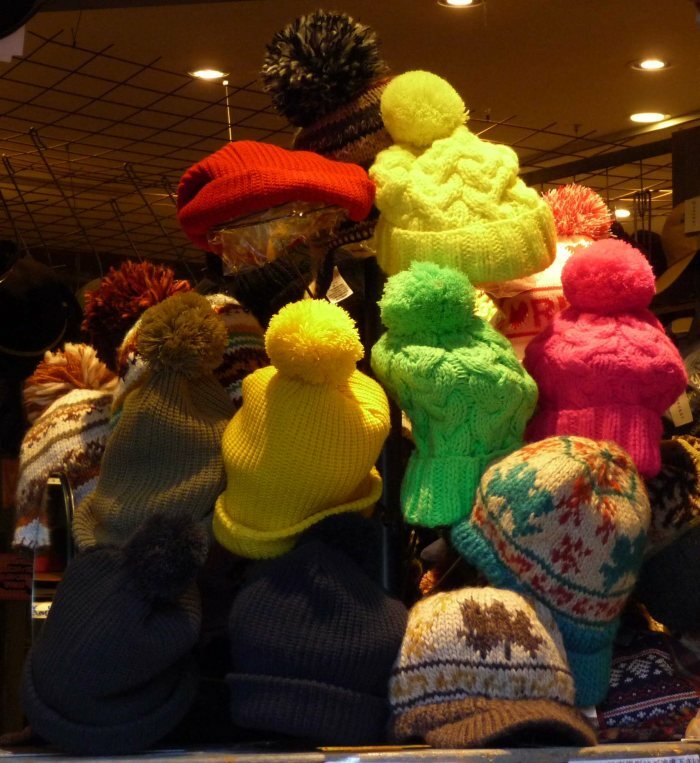 Here are some great items to keep the chill off the silly season. 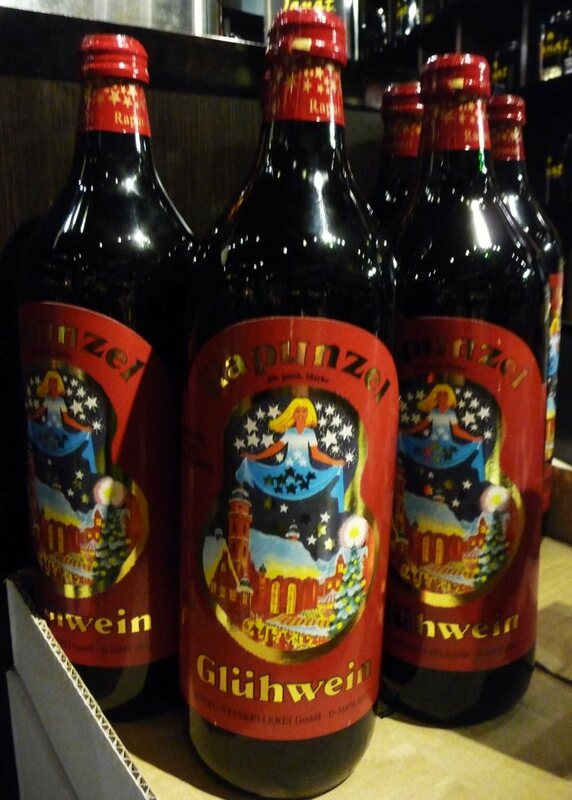 For alcohol lovers, Gluhwein at Kaldi Coffee for Y900 is OK but if you want real mulled wine, buy a bottle of red wine, warm gently and add lemon and orange peel, a stick of cinnamon and some cloves and star anise (Gaban) plus 2 tablespoons of sugar. 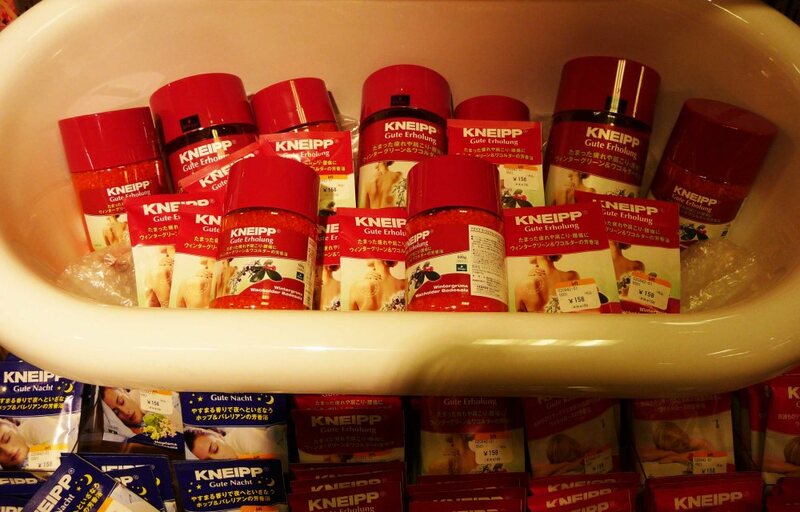 Alternatively, Kinokuniya sells a ‘bouquet’ for 788 yen so you can economise on buying the spices individually. 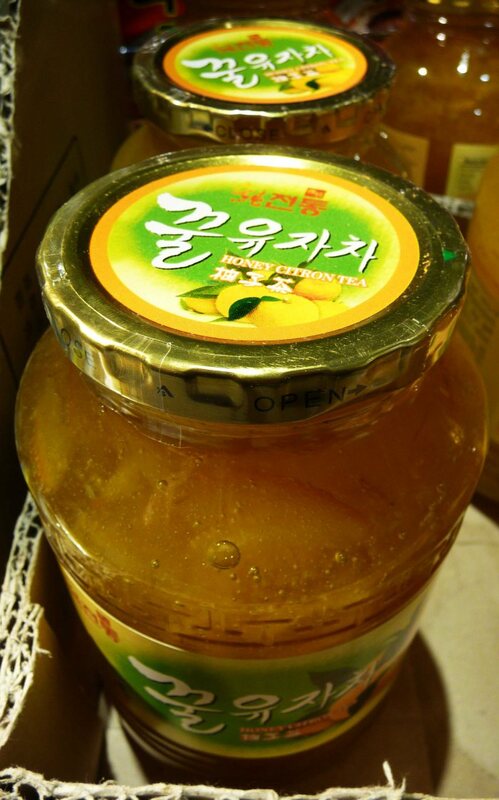 For daytime, try the refreshing and heartwarming honey citron tea (similar to marmalade) and add hot water. 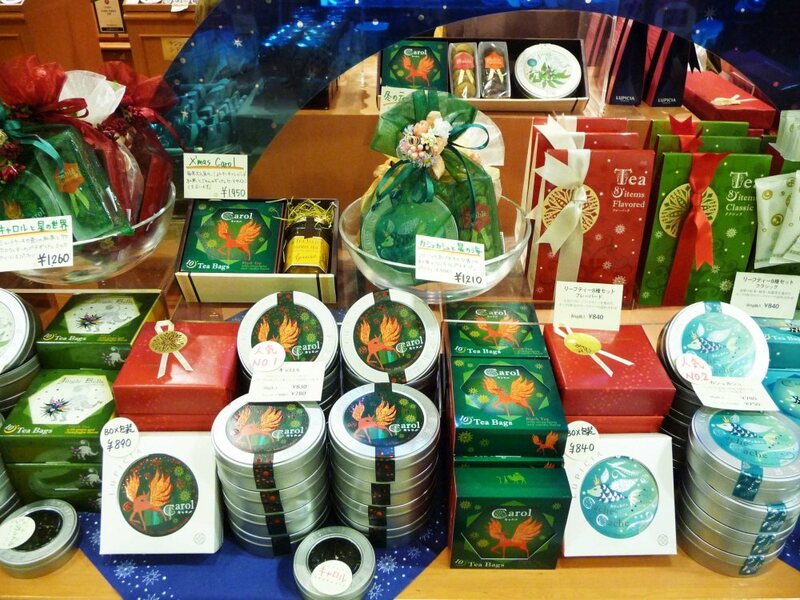 At Lupicia, a tea company, Christmas teas are on display like ‘Jingle Bells’ and ‘Carol’ though they can be sickly sweet. 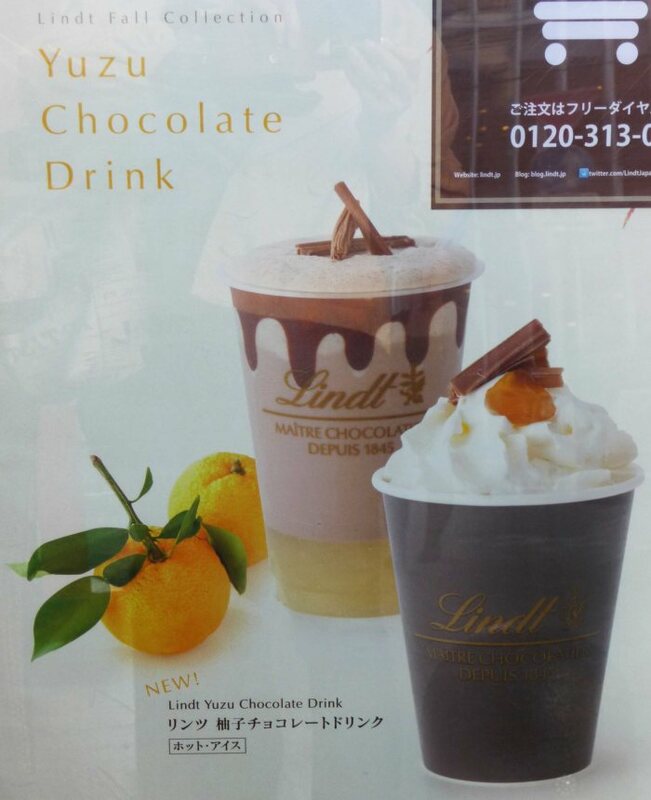 Lindt offers the most incredible combination of yuzu and hot chocolate. Yum! If you have a cold (I can’t wait to get one! 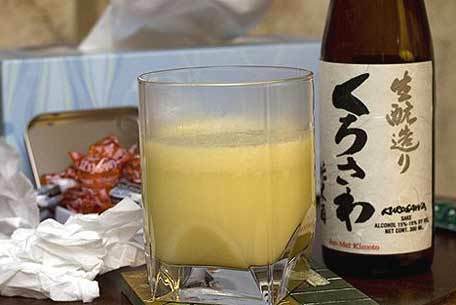 ), try the Japanese method (tamagozake) to blast the fever and banish the cold – boil 150ml of Nihonshu sake then add a raw egg and whisk wildly, making the sure the egg doesn’t curdle. Drink when cooled a little. Your body will heat up dramatically, you’ll sweat but the next morning you’ll be as strong as a donkey! 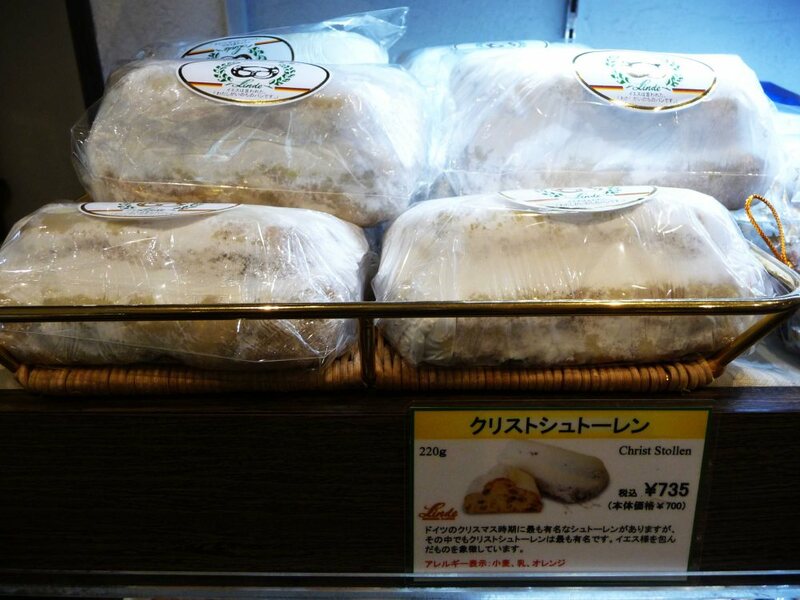 A superb stollen can be bought at the German bakery, Linde, in Kichijoji and a mediocre version at Kaldi Coffee. 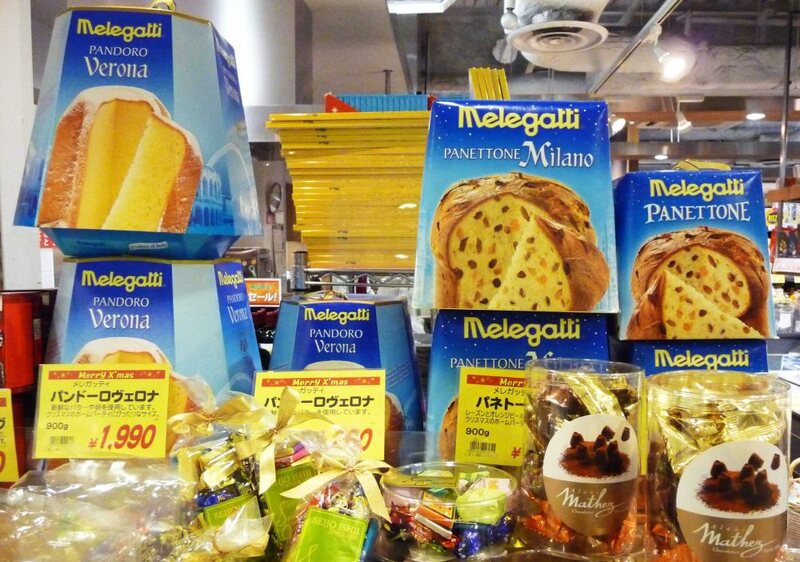 Seijo Ishii has the Italian panettone which would go nicely with a glass of Beaumes de Venise or as a sophisticated breakfast with coffee. 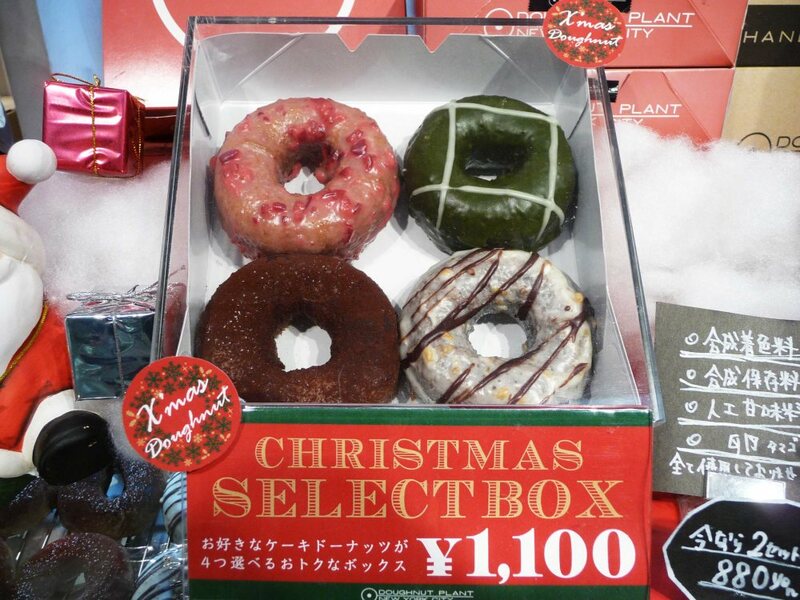 Doughnut Plant has special Christmas donuts including tiramisu flavour and Kaldi Coffee has those delicious German allspice cookies topped with a light icing. 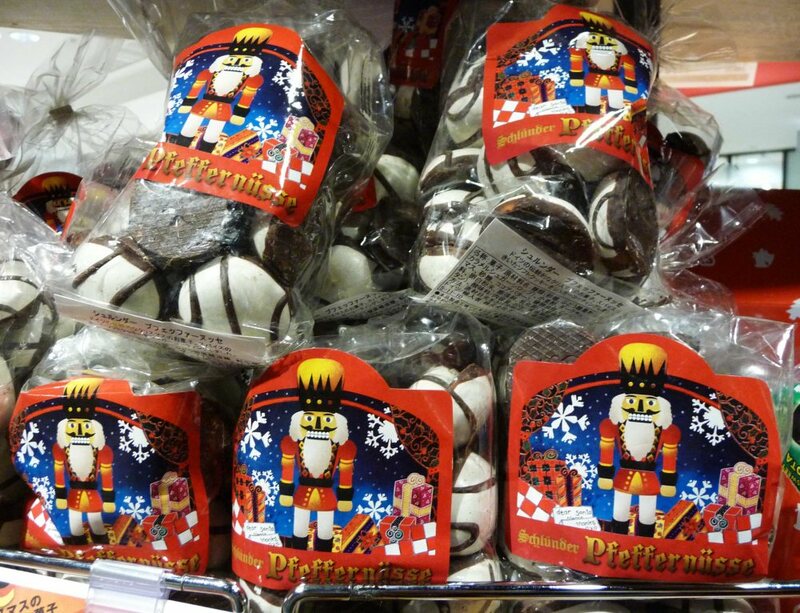 Just spotted today, Walker’s Christmas fruit pudding – get out the brandy! 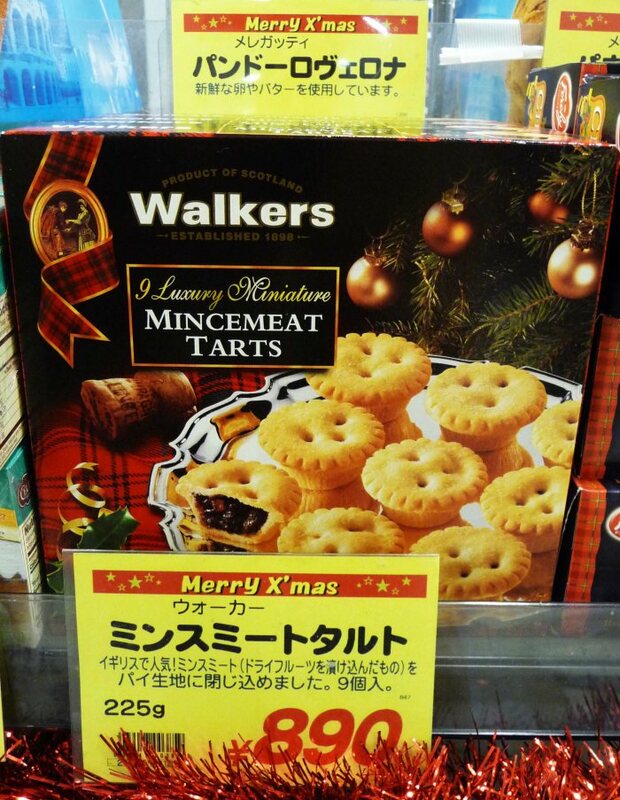 And mince pies at Seijo Ishii. EAT FOODS WITH VITAMIN A TO COMBAT DRY SKIN, for example, leafy greens, carrots, sweet potatoes, pumpkin and liver pate. Our faces takes quite a pounding from the dry windy air in Tokyo. 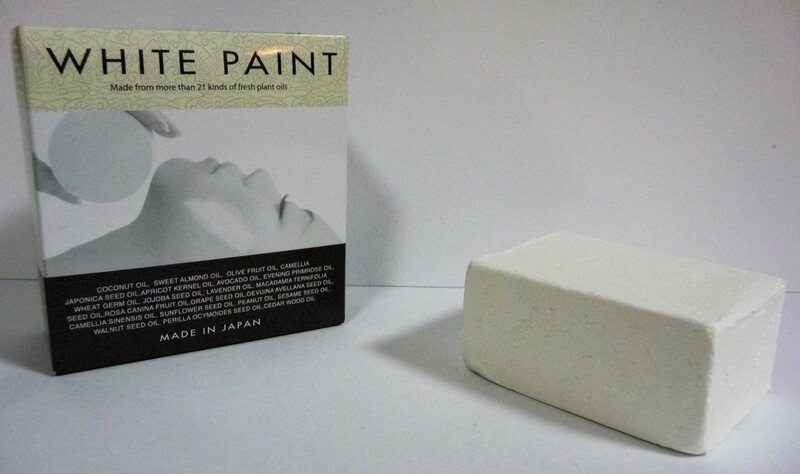 A good start is to get the face nice and clean with White Paint for dry skin (and Black Paint for oily skin) from Loft – a facial soap which leaves your face glowing. 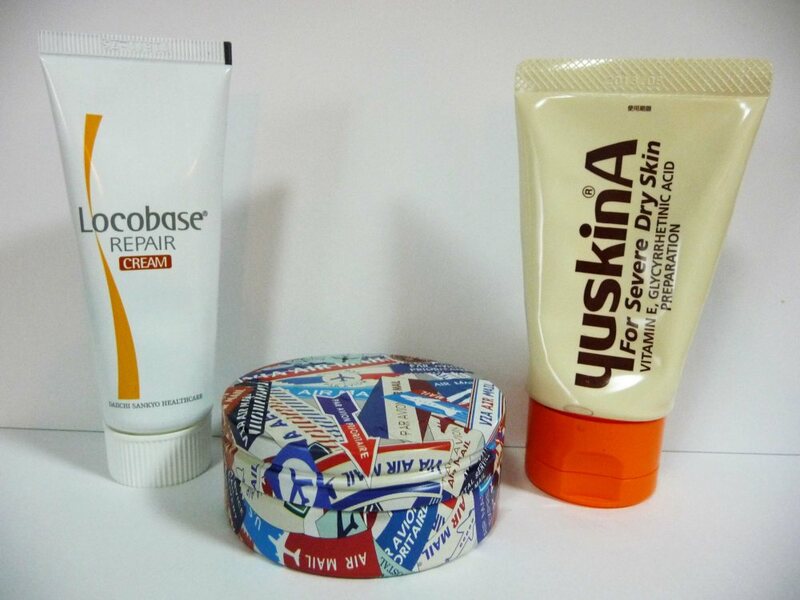 Then dab on YuskinA or Locabase (both from Tomod’s) which act like a skin balm and last the whole day. Lastly, put on moisteuriser such as Steamcream with its clean, fresh smelling lavender smell. Hair also gets very dry in winter. It becomes static, easily damaged and prone to split ends after the humid UV damage in the summer. My hair is naturally curly and frizzy and the products I was using didn’t make life easier. 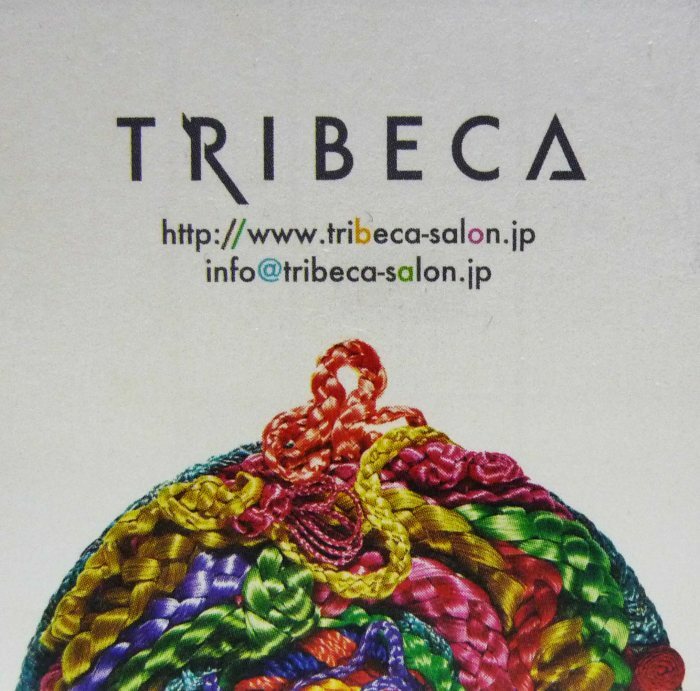 Then I found the perfect place, Tribeca on the 8th Floor of the Coppice department store in Kichijoji. The owner Mimi, can speak perfect English after 18 years as a hairdresser in New York. What she recommended was just the ticket – a hair relax treatment (but not straightening) to protect my hair and a great haircut. Now, my hair is really low maintenance and it’s taken a weight off my mind. The prices are very reasonable (4-10,000Y). 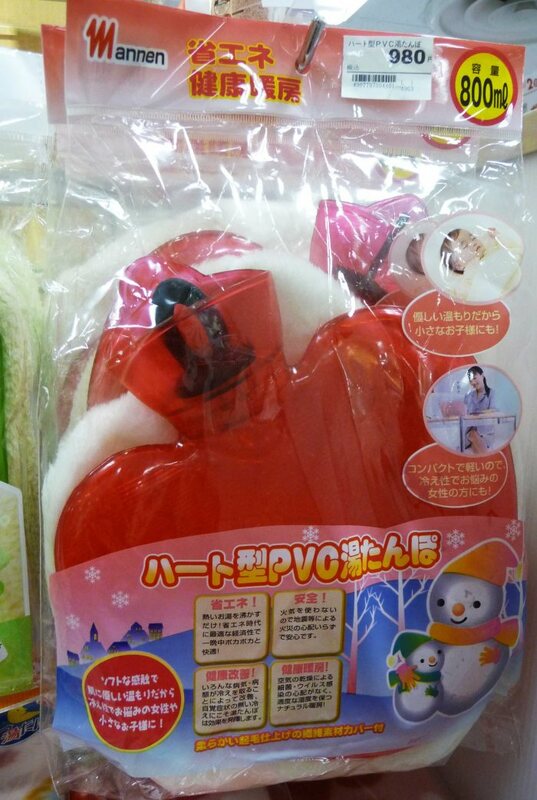 Lastly, soak in mistletoe bath salts by Kniepp from Loft. 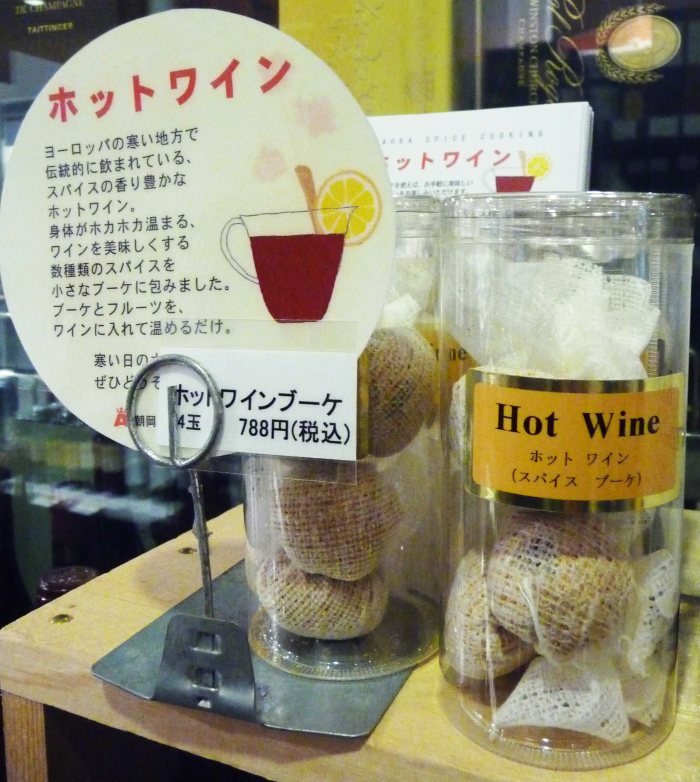 Or head down to an onsen and sit in the baths with a herbal concoction, you’ll be warm for 5 days. Interesting tips rather. I heard Hokkaido is the coldest area during winter in Japan, but I am not sure. 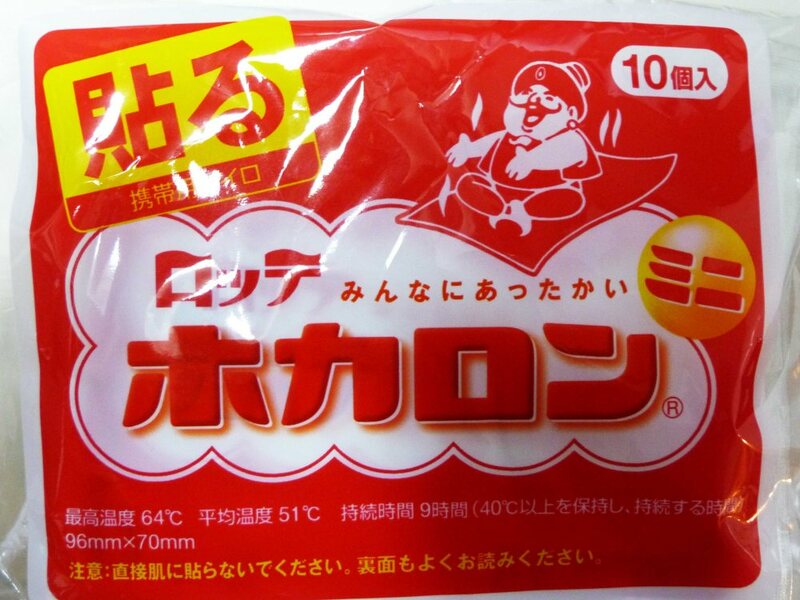 Tokyo and cold?? Not at all. Not compared to various other regions in Japan! 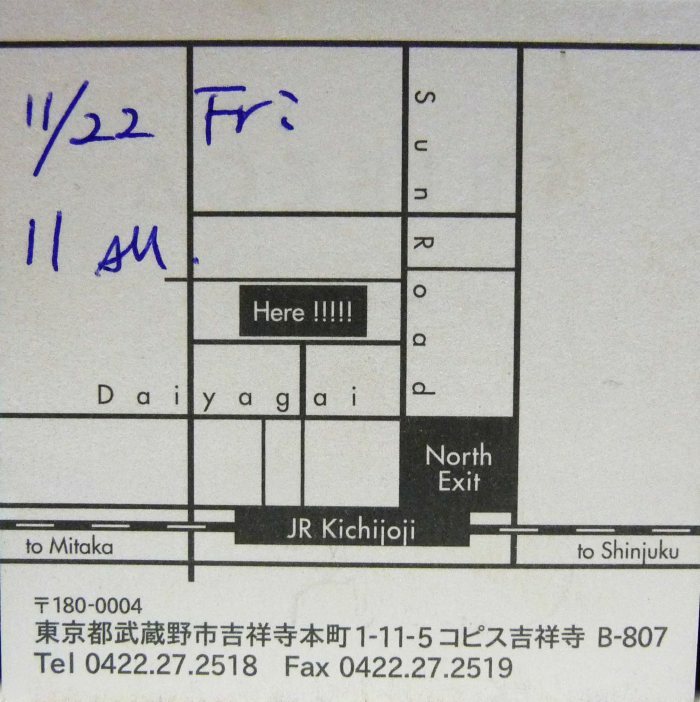 While we’re having an average of 5°C during the day here in Kansai at the moment, Tokyo still has 2-digit numbers! This year’s winter seems to be especially early and cold, though. 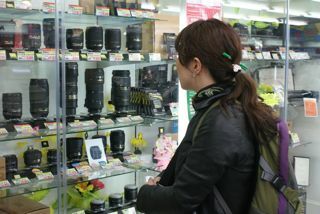 Buying a Camera in Japan? Think again. Search the Largest English Job Board in Japan. 10,000’s of properties available today!